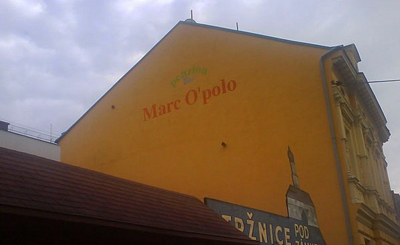 Marc O’Polo was an explorer wasn’t he? Didn’t he drink the Silk Road dry? Or something like that! Well I suppose that is a fair achievement but don’t forget there are more famous Irish explorers remember Christ O’Phercolumbus he drank his way all across America. 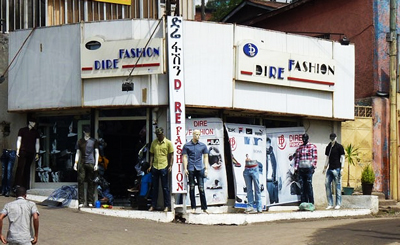 Where in the world can you get Dire Fashion? In Addis Ababa, Ethiopia of course! Mind you I hear that they do sell some rather fetching camouflage outfits that really bring out the colour of your AK-47! I like Turkey, the country is always warm, the people friendly and the beaches unique! Here is one word of warning about holidaying in Turkey if you are thinking of it. 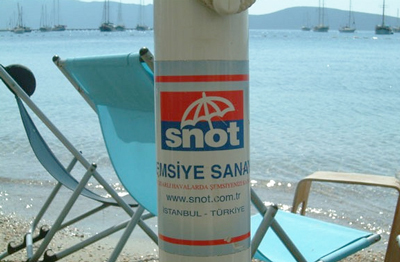 Try not to tread in the snot on the beaches in Turkey! I don’t know why they have it but they do! Valencia is a pretty cool place, with some amazing buildings and a disused Formula One racing track, but there are some amazing out of the way places that shouldn’t be missed if you are planning a trip. 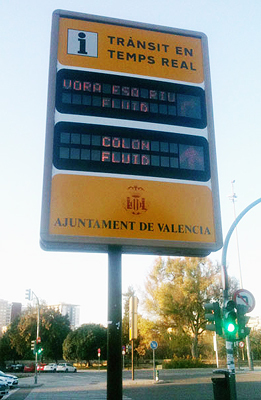 Yes Colon Fluid is easy to get to on the Valencia Metro and surely something not to be missed! 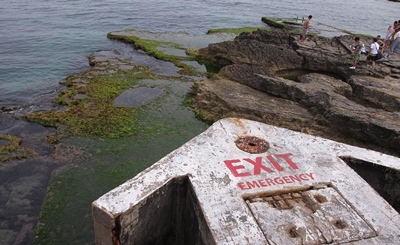 If you need to get out of Beirut fast here is the emergency exit! Mind you I think you should be careful using this emergency exit if you need to get out of Beirut fast because I don’t think it can be all that secret, if it has Emergency Exit painted over the top, do you! As the title says I like Le Mans the 24 hour race, mainly because it takes place in the dark which adds a lot of excitement to an already exciting racing formula, in fact I would go as far as to say that Sports Car racing is the most exciting racing around. There is sadly one thing that spoils the 24 hour race for me and that is the sponsor of the website where you can watch the race. Now I am not saying that a company who makes watches should sponsor such events, in fact it seems to make a lot of sense for a time sensitive race (24 hours in this case) should be sponsored by a watch maker, but maybe they should at least watch their presentation because this years coverage of Le Mans was spoilt for me by Rolex who again managed to do something crazy with their logo – which sadly is a watch! 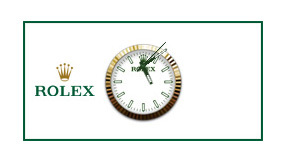 Isn’t that bad, or are Rolex watches prone to misplacing their hands? It is possible when you consider that these watches are only expensive because of the pricing policy of the company and usually contain similar parts to other less expensive watches, a bit like Apple computers contain the same Intel (etc.) parts as PC’s. Oh and while we are on the subject of watches, who needs them now? When we have iPad, iPods and iPhones which all can tell us the time more accurately than most watches and don’t even get me started on the nonsense of iWatches and other wearable technology, what a silly idea all of that that is! The 60’s comes to China 50 years too late – man! 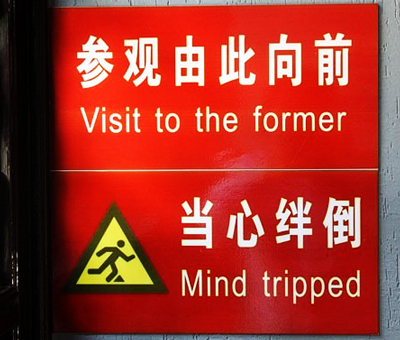 I just can’t imagine anyone in China having a “mind trip” surely it isn’t allowed is it? Actually I would be delighted to know if “Visit to the former” is the Chinese version of the awful hippy Americanism of the 60’s “far out” it must be mustn’t it? The Chinese just can’t do cool,can they? 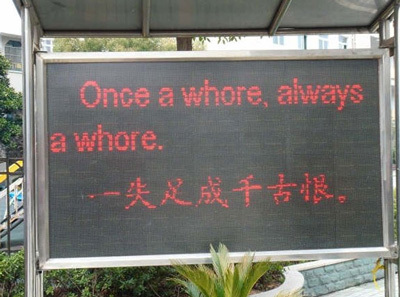 They say that China is a mean, totalitarian state that treats its inhabitants as less than human and this sign would suggest that there is at least some truth in what they say. It would be bad enough is this sign was at the entrance of a railway station or conference centre hotel where the lifestyle of those entering might have already been chosen, but sadly this is a sign at the entrance to a primary school, they catch them young in China, don’t they. Oh Dear! UK Holiday time. 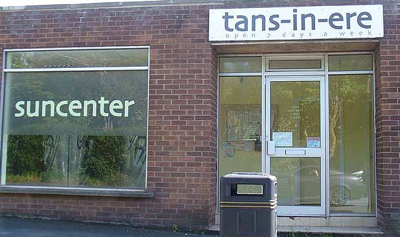 There’s a heat wave in the UK at the moment and that means that the British are having holidays at home and then turn up in droves at their local, and already over worked, Emergency Rooms with sunstroke and heat exposure rather than jetting off on holiday. Sadly the temperature in the UK is only around 30C and I wonder what would happen if the temperature got really hot? Here is one British visitor attraction which I think I would avoid if I was on holiday in Britain and therefore stuck in a traffic jam while on my way to visit it! That’s not very convenient is it? 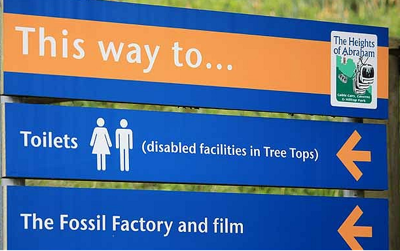 Why would they want to make the disabled climb into the tops of trees to use the toilets? There are some sick people around aren’t there! Especially in Derbyshire, England it would seem. 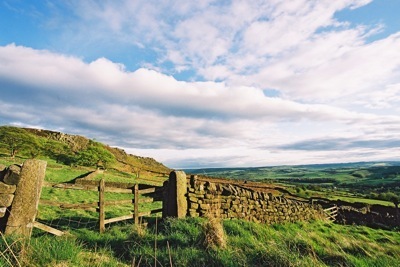 Sad really because Derbyshire is such a nice place with wonderful countryside, here is a glorious example just for you dear cuddly readers.